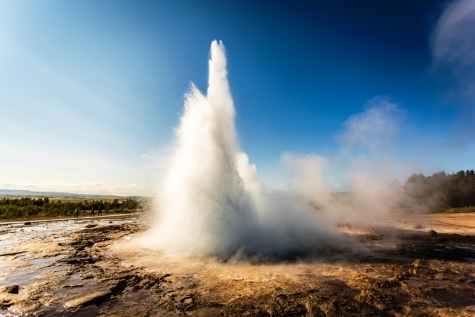 Discover South Iceland’s most iconic attractions including Gullfoss and Geysir’s hot springs combined with the dramatic landscape of Northeast Iceland’s Lake Myvatn, an area with its surreal water-filled volcanoes, boiling mud pots and sculpted lakeside lava formations. Add to this whale watching in Reykjvaik and Husavik and a bathe in the famed Blue Lagoon and you will have all the ingredients for a holiday of extraordinary contrasts. Scheduled flight to Keflavik. Transfer on arrival to and overnight at Hotel Centrum for three night stay. 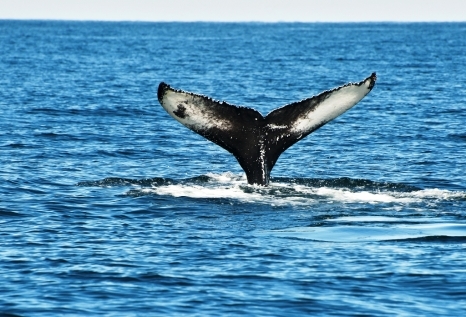 Enjoy an educational and interactive trip aboard the Roisin learning about and searching for whales. The Roisin is equipped to take you to the whale spotting area located just 20-30 minutes from the Old harbour in Reykjavik. Spend the remainder of the day at your leisure. An all-day scenic extravaganza. First stop is Thingvellir National Park, where the Vikings set up the world’s first parliament and where the North American and Eurasian tectonic plates meet. 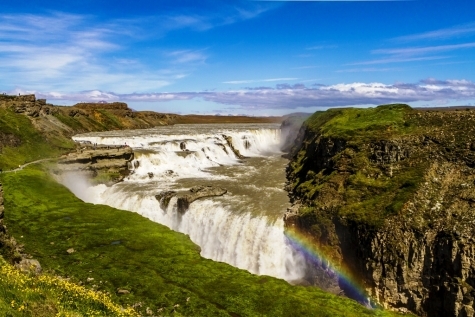 Visit Gullfoss with its foaming, thundering waters invariably over-arched with a rainbow before continuing to the Geysir area with its spouting geysers and bubbling mud pots with time for lunch (payable locally). Return to Reykjavík via the cathedral at Skalholt, the extraordinary crater Kerid and the greenhouse village of Hveragerdi. Self transfer to the domestic airport for an early morning flight to Akureyri. You will be met at the airport and a shuttle transfer will take you to the village of Reykhalid with a stop at Godafoss Waterfall. Afternoon at leisure. Your base is the Hotel Reynihlid or similar in Reykhalid for the next three nights. This 6 hour escorted tour commences with a visit to the fumarole zone of Hverarond. Continue on to Europe's most powerful waterfall, Dettifoss. View the Jokulsargljúfur Canyon. Additional stops are made in Vesturdalur and Hljodaklettar (Echo Cliffs) before heading to Asbyrgi, a horse shoe shaped cliff formation. Return to Reykhalid via Husavik and Lake Myvatn having seen the North's key sights. Afternoon journey to Husavik for a 3-hour trip out into the bay on a traditional oak built trawler, whose hull design provides a gentle bulwark against the swell. Minke whale is the most common species but recently the Humpback Whale is also frequently sighted. Skjálfandi Bay is also the natural habitat to Puffins and Arctic Terns. You also have the option to visit the Whale Museum, displaying full-size whale skeletons, a Folk Museum and other interesting sites. Free time to explore the Myvatn area further. Late afternoon departure by bus to Akureyri airport for early evening scheduled flight to Reykjavík. Self transfer to and overnight at Hotel Centrum. Transfer to Keflavik airport via the mystical Blue Lagoon for a bathe and then to Keflavik airport. Return flight to UK. Blue Lagoon entrance including bathing fee, bathrobe and towel. NB Reykjavik domestic airport transfers on days 4 and 7 are payable locally. Specifically designed for people who want to see as much of the island as possible without the need to hire a car. 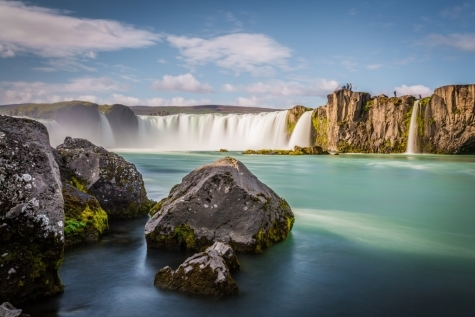 Ideal for seeing the best of what Iceland has to offer in both the South and North with a series of daily escorted tours to the iconic attractions Gulfoss and Geysir, Myvatn, Husavik for whale watching and the Blue Lagoon. 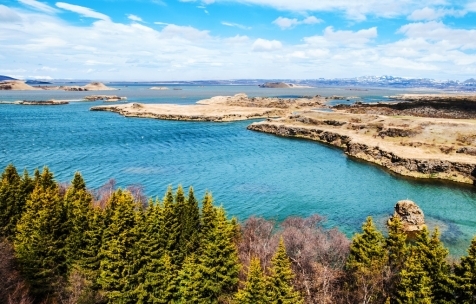 Can be easily adapted to include extra excursions in and from Reykjavik include along the South shore and to the Vestmann islands often described as the Pompei of the North.